1st place in age group males 30-34 and 16th overall. This was a good race. 2 loops of a 2.5 mile course. It was a hilly course which made it a challenge. The weather was nice but it was a bit humid. Overall I would recommend this race. Ended up doing 58 miles last week. Only a couple more weeks until NYC Marathon training begins. Hey, I just came across your blog while searching for photos of races past. I did the media five mile as well as badges of honor. 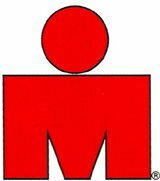 Hoping to take part in my first tri this september. I'd ask if you ever see a runner with a pink fox tail at your races but judging from your times you're so far ahead of me that it's highly unlikely. Anyway, I'll keep checking your blog. if you have questionsa bout running or even tris drop me a line. Good luck training.